Theresa May Suffers a “Historic Defeat:” What’s Next for Brexit? 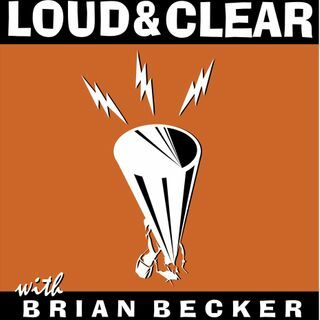 On today's episode of Loud & Clear, Brian Becker and John Kiriakou are joined by legendary anti-war activist and former British parliamentarian George Galloway and Sputnik news analyst Walter Smolarek. Tuesday’s weekly series is False Profits—A Weekly Look at Wall Street and Corporate Capitalism with Daniel Sankey. Financial policy analyst Daniel Sankey joins the show. President Trump’s choice to head the Justice Department, William Barr, begins his nomination hearings today before ... See More the Senate Judiciary Committee. Barr has pledged not to hamper or end the Mueller investigation, and he spent last week paying calls on Committee members. He was previously Attorney General under President George H. W. Bush. Brian and John speak with criminal defense attorney Brad Schlesinger. The New York Times reported today that a year ago President Trump suggested to aides that the United States should withdraw from NATO, the North Atlantic Treaty Organization. He made the statement several more times throughout 2018, calling it a financial drain on the US. A US withdrawal would likely signal the end of the alliance. Dr. Peter Kuznik, a professor of history and director of the Nuclear Studies Institute at American University and co-author with Oliver Stone of the book and the hit Showtime television series “The Untold History of the United States,” joins the show. The Los Angeles Teachers Strike entered its second day today with no immediate end in sight. Why won’t the LA Unified School District reduce class sizes, hire more nurses, counselors, and librarians, and give teachers a raise when the district is sitting on a $1.86 billion surplus? Today, huge pickets are continuing and charter school teachers are joining the strike. Cecily Myart-Cruz, a teacher in the LA Unified School District for 23 years and the Vice President of United Teachers Los Angeles/National Education Association, the teachers union, joins Brian and John. Today’s regular segment that airs every Tuesday is called Women & Society with Dr. Hannah Dickinson. This weekly segment is about the major issues, challenges, and struggles facing women in all aspects of society. Hannah Dickinson, an associate professor at Hobart and William Smith Colleges and an organizer with the Geneva Women’s Assembly, joins the show. Representative Steve King, a Republican of Iowa, will be stripped of his committee assignments because of racist comments he made last week. But King has been making similar comments for years and the Republican leadership never said a word. Senator Chuck Grassley even endorsed him for reelection just last year. Why are the Republicans acting now? And does this mean the end of King’s career? Brian and John speak with Dr. Nazia Kazi, an activist and professor of Anthropology at Stockton University, and author of the new book “Islamophobia, Race and Global Politics,” published by Rowman & Littlefield.